Time comes when the elderly in our families need special attention and care whether temporarily or on a long term basis. This may come as a challenge for many families especially with many members working full time or in school. The nature of the care you give may also be quite technical; the kind you would want trained professional care givers to give. If this is the kind of situation you are in, you need a comprehensive range of quality services offered by a team of nurses, physiotherapists, doctors and trained givers. All this is delivered right at the privacy and comfort of your home. In the home care industry, it goes without saying that all service providers are not cut from the same cloth. Not every homecare giver will give you what you need to enjoy the sought after peace of mind when you need your elderly loved ones taken care of. You need a first among equals. - Continuous assessment of the patient’s rehabilitation needs. - Tailored exercises that will help improve the undertaking of daily activities like bathing, dressing, feeding, toileting and grooming. - Assessment on how safe the home is and recommendations on the necessary modifications to make the home safer. - Exercises that are aimed at improving articulation for patients that have speech challenges and difficulties in swallowing. You can have a medical doctor or a chiropractor visit your home to offer medial attention to your loved ones. This way you get specialize medical check-up or consultation services to better deal with illnesses. Patients that have just been discharged in the recent past need short term care giver services at home to help in the recovery process. This requires dedicated trained care givers while awaiting any other arrangements that you may have for the long term. Interim caregiver services are best offered by medical social workers or discharge nurses at public hospitals. It is not quite easy choosing the right caregiver especially if you don’t know what to look for. You need to ensure that your loved ones have the best care from people you can trust. Here are some tips to help you in choosing the best home care givers for your elderly loved ones. It is important to ensure that the assigned caregivers have gone through a thorough background check to establish their criminal record. You don’t want anybody with a criminal record taking care of your loved ones or anywhere around your house. It is important that caregivers undergo screening for diseases like tuberculosis, HIV and such other contagious diseases. This is because caregivers and the recipients have a lot of contact with each other and come to close proximity. You need to ensure that your loved ones will not be exposed to any kind of risk. Every caregiver organization is required to have licenses to operate in Singapore. It is important to ensure that the organization has done its due diligence in registration and that it has legal licensing from the government. You need to physically visit the premises of the caregiver establishment to verify whether they have done their legal obligations. As is with any service, it is much more convenient to get all the services that you may possibly need under one roof. 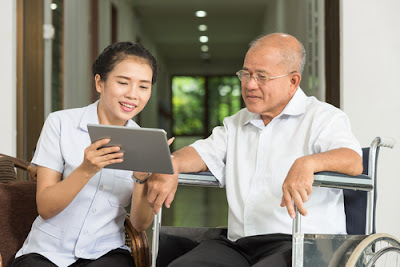 This is to ensure that the caregiver service provider has multiple services and is affiliated to a reputable hospital or a variety of other medical service providers. This way, you get consistency in the quality of service and a better price package for the services that will be provided. Outsourcing service from different providers my bring conflict of interest and undermine the quality of care that your loved one will ultimately receive. Aged people are quite sensitive and even more vulnerable. You need to ensure that they get the best care that you can afford. It is important to help the elderly experience full life with dignity and at the comfort of their home. While caregiving is important, it is necessary to ensure that these individuals still maintain the highest possible level of independent living. The family of the individual receiving care is always encouraged to keep as close contact as is possible. Caregivers should not be a reason for the family to abandon the elderly; it in fact should make it easier for the family bond to become even thicker. An important thing to note when trying to find a home for a relative is the types of reviews that particular institution has received. Many times, these homes and care centers have specific websites where they will list all of the amenities included, as well as costs and other items. Also on these sites are recommendations made by people who are currently living there and the relatives of those who are living in the homes. These reviews and testimonials can be used to rate which homes seem like nice places for your aging relative to live. Another item to put on the agenda when trying to find a home is to actually tour the home itself. Even though many homes may be located far from where you live, tours should be given top priority. Only when you tour a home can you distinguish whether or not your relative will like it. Make sure that on your tour you visit some of the common areas where the people living there gather, as well as the home's medical facility and a room that your relative will most likely be living in. 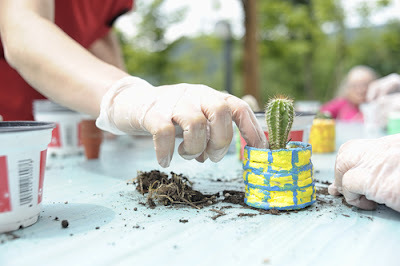 Also be sure to ask what types of activities will be taking place on a regular basis in the home. Several homes focus only on care and not at all on recreation, which can make life stagnant for your aging relative. Homes that offer activities that engage your relative will not only make their stay a bit more enjoyable, but it will enable them to create relationships with the people living with them. 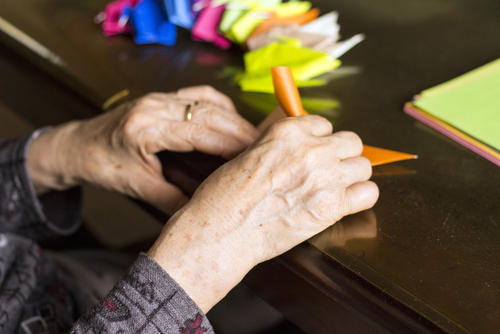 Activities that stimulate the mind will also help to protect your aging relative from the onset of dementia, a common occurrence due to the stagnancy of home living. Medical advantages at the facility you are considering are also very important. 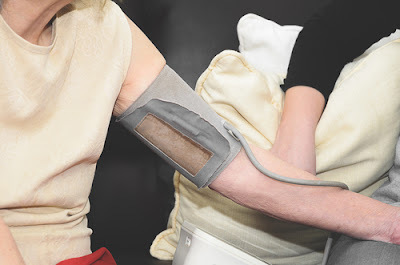 You must make certain that the home has all necessary medical equipment for your relative's care. If your relative has complex medical issues, you must see to it that all equipment is available for them to use. Also, you must make sure that the home can use prescriptions and administer them on a regular basis. Although it does not seem that important to you, a good view of the surrounding area and views of wilderness area can be very important to have. When aging relatives can look out the windows and see trees and birds, it puts them more at peace than if they were located on a highway. Loud noises can startle residents and should be avoided at all costs. Helping your loved one's transition into a home for aging residents can be a very difficult thing to do. Many times, you don't want them to leave and live somewhere else. If these tips are followed, the transition will be much easier for them. During the past, aged people were held in esteem, and they mostly pursued out for guidance about Home remedies for illness, marriage, life, and love. As vital members of our families, old people were not only an origin of guidance and advice, but they also assisted raise our kids, Nevertheless, a complete renovation has utilized place when it arrives at the old people and the place they are given in today's society. They are no more elaborated in the growing process of their grandchildren and have been substituted by the internet, video games, TV and day care centers. The sense of household unity, love of group, care and respect for fellow man inculcate in kids by their grandparents has all been varnished in the absence of these precious sources of experience and knowledge. The older people are now treated like old furniture in today's family as they are not able to provide a helping hand to their family. 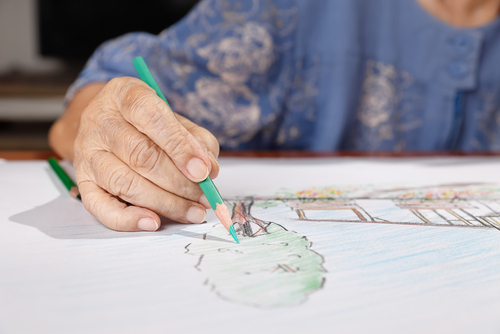 When an older person cannot manage to live in their own house due to frailty or disability an alternative living arrangement requires to be considered. 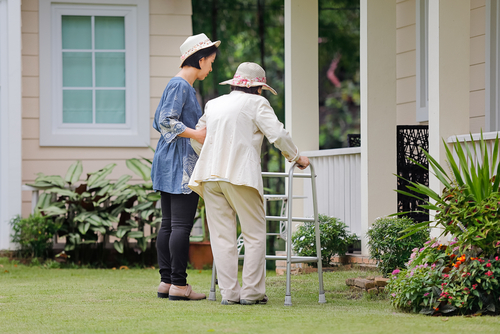 In Singapore, care home placement is the prime option for ongoing help. * Similarly, those who experience Homecare can go and come as they want--for whatever reason. They can also select their food times. * Home care permits the aged people to stay physically near to the things they warmth, seniors are allowed to retain any pets they might have if they live at home. As, studies have the display that people with pets prone to be less in tension, which can lead to a good life span. * Visiting hours are not confined at home, so family and friends can visit on a time plan that works for them. This absence of limitation usually leads to more repeated visits, which assists seniors to stay attached to their families. * With home care, older people do not have to concern with the emotional stress of adjoining multiple new components into their lives. They will not have to change to a new pattern in a new location, surrounded by new mankind. * Many older people who live at home are happier. For most, the amenity of home truly is invaluable. * It is now simpler than ever for older individuals to live at home. There are enormous affordable home care services that are easy to use. Home care services and products, such as guard systems and pre-made foods, make a living at home a usable option, and in many cases allow you to honor your old family member's choices. In conclusion, no matter the kind or surroundings of the elderly home, daily activities play an important role in assisting residents of all physical capacity to live as fully as available. Activities must be designed not only to esteem residents' needs and preferences but also to enlist body, spirit, and mind. Home care services become essential at a certain age for every person. After many years actively caring for ourselves and others, we finally grow old and become needy. 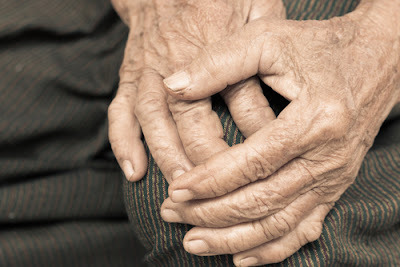 It is no secret that most elderly people in the society need special care and assistance. Luckily, there are many reliable home care services in Singapore in the modern day. There are many companies and institutions that specifically provide home care services for all clients who might need them. These institutions and businesses are a vital link that helps maintain a productive society. Providing care can be a demanding task for any individual. 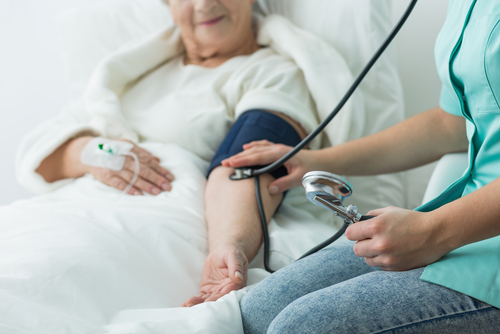 In order to save resources and have more time to do productive work, it is critical to seek professional home care services when the need arises. Here are reasons why finding elderly home care is fundamental, as well as how you can get the best value for these services. As people grow older, they develop a lot of needs. Elderly people are especially quite dependent on support from other people. Elders need to be assisted to do some common tasks like feeding, taking a shower and many other basic things. In addition, some elderly people might develop needs that are specific to them. Such needs can often only be addressed by an individual trained to give these services. There is no better place to get these services than from a qualified home care services provider. Most people who are advanced in age face unique medical challenges. Diseases like Alzheimer’s are particularly associated with old age and are quite common to elders. It might be difficult to diagnose these diseases sometimes and cause suffering on the part of the patient. Having elderly home care services close can, however, be quite useful for any elder suffering from a special condition. Elderly home care service providers not only provide essential services under their capacity, but they also provide companionship for the aged. Most aged individuals are often slower than their younger counterparts and might thus not relate socially with other people in the society. This can lead to loneliness and a feeling of dejection. Having a specialized home care can go a long way in reversing this situation. Home care service providers are in contact with elderly people for most of the time and thus help bring a feeling of fellowship. Any sort of professional care is very advantageous. For elderly people specifically, professional care can mean the right approach to every single routine. This can ultimately result in efficiency on the part of the caregiver and contentment on the part of the client. Professionals are trained to handle clients in a competent manner. Professional service is for elderly people is definitely the best choice as it is credible and very reliable. Finding elderly home care services is great, but it is only a half of the journey if you are looking to benefit from the services. It is more beneficial if you are also aware of things you can do to get the best provider for these services. 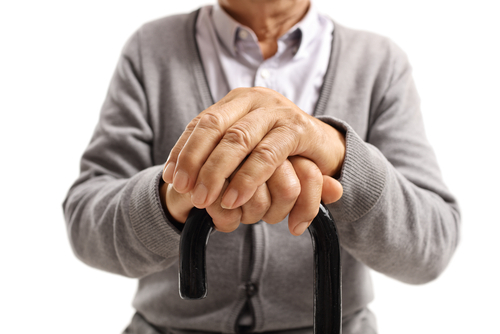 Here are a few tips on getting the best value from an elderly home care service provider. Every business, company, and institution are defined by their experience and reputation in the industry. Such achievements can be found on the profile of the particular company. Elderly home care institutions often detail their accomplishments on websites and public platforms. You can find important information including their transaction history which might help you make a suitable decision. Going through such channels can give you an idea of the capability of each particular company. It is never good to assume anything when it comes to purchasing services. Every single elderly home care institution out there has their own portfolio where they explicitly outline the services they provide as well as those that they do not. For elderly home care, you will often find service providers who leave out some services that might be essential to you. The best thing to do would be, therefore, investigate a plausible company and compare the services they offer to your individual needs. This is the only way you can gain the full benefits of the services you purchase. In addition to a services portfolio, all institutions also have certain terms that they operate under. These terms are the sole measures that bind the client to the service provider. The terms are thus important when deciding on what institution to go for. Institutions that give care to the elderly need to have permitting and flexible terms that take into context the needs of clients. Looking at the terms of an elderly home care can help gain the most value from the services they have on offer. The main determinant of the performance of any institution is their background in terms of manpower, resources, and skills. 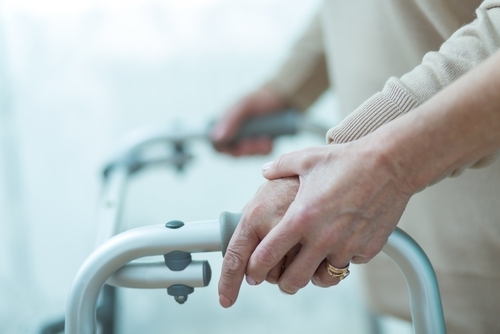 For elderly home care, it is crucial to investigate the staff available to serve clients. In addition, you need to check their record in terms of who they have served previously and how they performed. Finally, you can counter-check the authenticity of their registration details and their performance as indicated by client approval. Other things like insurance are also often important for any institution. All these measures can help you get an accurate perspective on the particular elderly home care service provider. 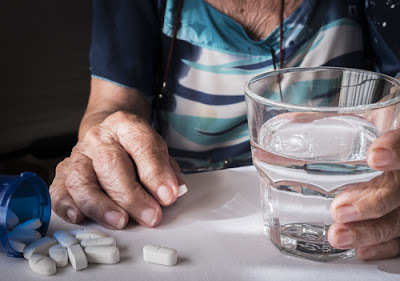 There are many things that you can consider when you want to find the best home care service provider for elderly people. The great thing is that many more service providers have set up shop in Singapore over time and the market for services is quite vibrant. When looking for elderly home care, you need to be armed with good information in order to make a good decision. The tips offered here provide the best information for people seeking to not only understand elderly home care but also derive maximum value from the services. 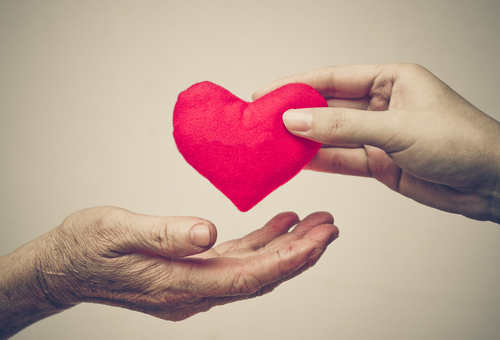 Becoming the caregiver for an elderly can be a daunting task. Not only will it require patience, attentiveness and skill, but it can be tiring, frustrating and confusing as well. Before agreeing to become the primary caregiver, some careful thought must be put into how much time and commitment you are willing to give, as well as your own level of comfort in dealing with things of a medical nature while caring for your elderly relative or friend. You may consider care as a viable option to helping lighten the load placed on the primary caregiver for an elderly. Here are some things to take in consideration when deciding on a care plan for elderly. Do your research. Does the elderly one have a medical condition that would prevent him or her from receiving in-home care? 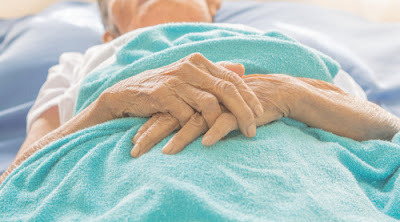 Would he or she benefit from Utah hospice care as a means of therapy? Will he or she require in-home visits from a physician or nurse? All of these could limit the amount of care you as an individual caregiver can offer. 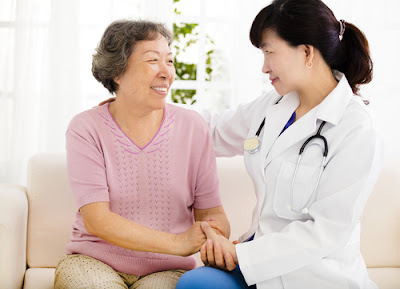 If the medical condition is fairly simple, and only requires the minimum of supervision from health care professionals, you may be more apt to help as an in-home care giver. Otherwise, call to different hospice companies in your area to see what types of services they provide. You may be able to pick and choose your level of care to relieve some of the burden of being a primary caregiver. While researching, remember to ask lots of questions and get a general feel for how they conduct business. Some important questions to ask would be, have their employees had a background check? How long have they been in business in the area? What services do they offer, and what type of support do they offer the families of the elderly, if any. You should be able to get a feel for what type of hospice care they can offer, and how that might benefit you as a primary care giver. 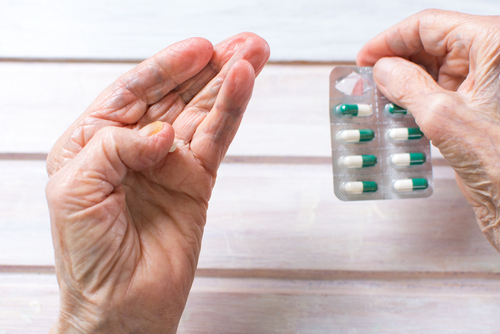 Finally, remember to keep up to date with any medications or restrictions that have been given to your loved one. If possible, accompany them to their doctor's appointments, so you're informed and can do the best job possible in caring for your loved one. It's a great idea to keep a detailed planner so that you can have easy access to phone numbers, prescriptions and any other information you might need. The time when the tables are turned and it is your turn to take care of an elderly. They have aged to the point where life is still good they just dont have all the abilities they once use to. Instead they need to turn to you for the help they need. Driving is no longer a viable option for them and they are having trouble keeping up on their household duties. The question now isnt whether or not they need help but how can you be the best caregiver possible. 1:A frequent problem that occurs is that caregivers often think that with physical health decline comes mental decline. Although there are occasions when that is true it is more often not. Remember you are giving care to your loved one, someone who more then likely played an influential role in raising you. They may not physically be able to do the things they use to but they would still like to be able to mentally care for you. It is ok and recommended that you still ask them for advice on lifes issues, you still tell them about upcoming events and you still include them in the plans you would have if they could drive themselves. 2: Listen. Take the time to listen to their thoughts and views on political, social and family issues. You may be folding laundry or driving them somewhere but the key is to talk actively to them. If you were no longer able to do simple chores then most of us would feel inadequate. Let them know they dont have to cook dinner to be meaningful still. 3: Be careful how much you commit to. Giving care takes a lot of time. Most people dont realize that in order to give helpful, healing care it takes a weekly and even daily effort. Most of us spread ourselves so thin that we cant give everything in our lives the attention it needs. If this is your case and you find yourself busy and running in every direction be able to stop and evaluate if you need help. There are many good and honest services that are designed to give in home care to the elderly. It isnt a nursing home but rather someone who will come in and do the things you would like and need to for your loved one. Be able to recognize and address that need. Elder care comes in different kinds and the members of the family can keep their family members near to them by choosing home care services or bring them with facilities. Most want to be in the caring arms of their loved ones and just seek the assistance of caregivers, nurse practitioners or other professional who're trained to give them optimum care and support while they're at home. Nevertheless, this is best suited for those who need minor help. They may have choices, but in the conclusion, they still have to consider the wants of seniors in selecting the sort of elder care. At this point, they're not as productive or as bodily energetic as they were earlier. Due to this switch, the way they find themselves might be have changed. Worries, self pity, or perhaps the feeling being useless could be demoralizing. However, some seniors welcome the thought of having to relax with no worries of employment or earning money. Either way, an atmosphere that will promote their mental and emotional desires is a vital requirement. Elderly care help will certainly be an excellent help so that elderly people will really love this phase in their lives. However, not like the contentment that they receive from loved ones. Nothing is as stronger as mental and emotional connections they have labored on for decades. Due to physical or medical restriction many retirees generally retreat to their houses than go out. Obviously there are lots of activities provided within houses for the seniors and similar amenities, but there's much to view outside. There are occasions and events that they miss out due to their boundaries. Special services customized for these situations are in fact available in order to always experience life outside of the home. Medical needs are additionally extremely important at this time. A close watch of their simple vitals is essential. Taking medicines is also a huge concern because it must be assessed. Regular examinations and physiotherapy needs (as required) should be done. But the truth remains that medical developments and devices has made the standard of life of the aged better over time. Naturally, nothing beats the affection and care that a family member gives to its beloved, but in times such as this, when individuals get old or experience diseases, it's far better to ask the assistance of trained experts. 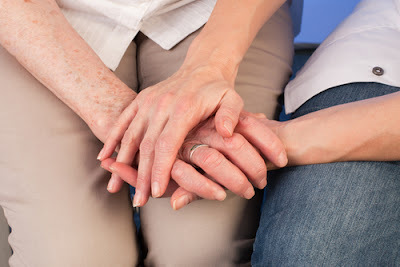 An elderly care professionals can lift the stress of looking after seniors from the family and simultaneously provides undeniable support, unique attention and additional care. As your elderly parent ages, you may start to question his or her ability to handle things like walking, driving, and feeding themselves. Your elderly parent may feel the activities of daily living becoming stressful and in most cases the family may not be able to bridge the gap. This is where assisted living becomes the only option. An in home care services provider entails a wide range of health, special, and supportive services to empower an elderly person to live in their home. These services include care management, social engagement, home repair, meal services, and transportation. However, due to the huge variations among assisted living facilities, it can be very hard finding a facility that best suits your elderly parent’s needs. The most important factor when choosing an elderly care is its friendliness, safety, and comfort ability. The best facility should be somewhere that you feel at home. 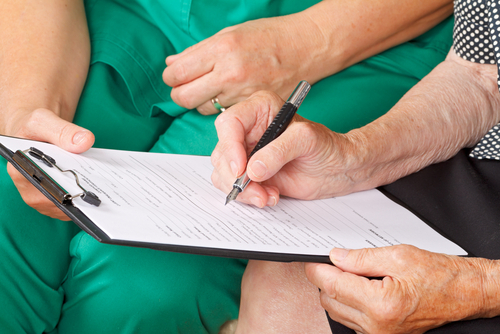 Here are the steps on choosing the right elderly care service for your parent. 1. Decide which level of care is appropriate for your loved one. Before you even start your search, the first step should be to consider the level of care that your elderly parent requires. To know this, you should consider whether they can comfortably drive their car, manage their finances, bathe themselves, and prepare their own meals. Also consider whether they often pose danger to themselves by forgetting to take medicine, pills, or even leaving the door open. Depending on the needs of your elderly home, below is list of assisted living services that you can opt for. a. Home care services – In-home senior care allow elderly parents to stay in their own homes as they receive daily living assistance. b. Adult day health care – These are community based senior health care centres where seniors are able to get access to various services including healthcare services, therapeutic services, and social activities. c. Assisted Living Communities – Also referred to as personal care homes, these are designed for seniors who do not need medical care all the time. d. Nursing homes – In these homes, the seniors are provided with a very high level of medical care with the ever available medical nurses. After you have determined the type of care that your elderly loved one needs, you will now have to come up with a list of appropriate agencies. A good source of information on the available assisted living services in your area is the internet. You can also ask your friends and family members whether they have had experience with any elderly care services and whether they can recommend them to you. After you have done your research and come up with a list of your potential assisted home services, your next step should be to call them and make arrangements for a tour there. This will help you interview and evaluate them so that you are able to compare them. You should prepare yourself before hand with a list of questions that you will ask regarding this level of care. When you visit each of the assisted living services in your list, find out the history and ownership of the company. Determine if it is reputable and in good standing, and most importantly how long they have been providing this service. Although the number of years an agency has been in business does not always reflect their quality of care, on the other hand it reflects on their stability and success. When different people show up every new week, it may be quite difficult to receive good care. A good in home care should ensure continuity of the care by letting the same employee continue with your case. 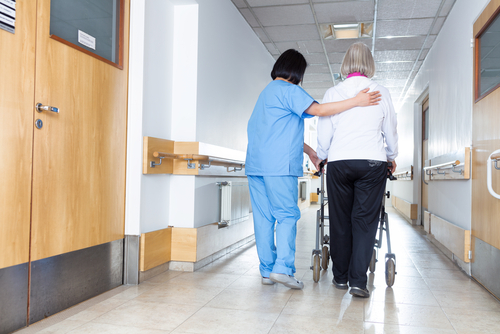 To help you feel more comfortable, also ask what happens when a staff member is sick or unable to work, and how staffing patterns differ at night. It is also important to find out what are some of the activities that the facility offers and whether you are interested in them. Confirm if the amenities are found inside it or outside and whether transportation is available to the outside ones. To further prove the quality of the assisted living service care, proceed to ask all about the training and supervision of their staff. Find out if they undergo professional testing and screening, and whether there is ongoing training. Are they employees of the agency or are they just contract workers? You should always ensure that all the workers are insured and bonded by the home care agency for your protection. This ensures that at least there is a remedy when there is an instant of theft from a worker. Just like hiring an employee, you should also ask for references when hiring the services of a home care service provider. You should ask for names of real people and not just organizations or hospitals. You can ask questions like their experience with the agency and whether they would use the company again for themselves or their loved ones. If the environment feels homey to you then you can now proceed to understand the services. Find out if they will provide you with a written care and service plan to help you know what is provided. Also, find out when the services will be provided, and how quickly they can begin. You should know whether they will provide you with a list of all the rights and responsibilities of the involved parties. When it comes to how to pay for home care services, many people do come up with a lot of questions. This is why it is important to ask the agency things like how they handle expenses and billing, and whether they provide details of all the costs associated with prescribed needs. Prior to the starting of the care, you should ensure that all services and financial terms are put into writing. In our daily lives, every one of us grows old as each day passes. We are all aware that old age comes with many obstacles such as health complications just to mention a few. As a result, elderly care is thoroughly recommended because old people are not in the position to take care of themselves. If you don't have elderly parents, the chances are that you have never spent sleepless nights worrying about their future. By considering elderly home care, you can enhance the quality of life for older persons and give them a chance to live again. Below, we look at some of the advantages of considering elderly care in Singapore. If you want to continue spending quality time with the elderly and extend their life, you should consider home care services. Such services encourage freedom and personalized care that lets aging patients take charge of their lives as long as possible. Adults heal quickly at home unlike in other health facilities. 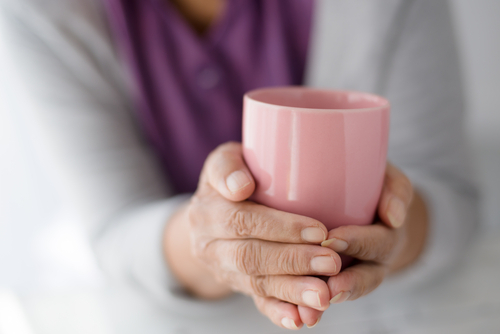 In simple terms, home care extends life by getting rid of the stressors linked to aging. Apart from extending lives, home care also improves the quality of lives of the elderly in future. Most of those who receive home care are more than satisfied with the services they receive and the quality of life they live. If your elderly loved ones have been admitted and discharged from the hospital, home care for the old is the best option you have if you are looking to give them specialized care. Their stay and experiences in hospital leave them in a vulnerable state. Elderly care allows them to recover quickly in the comfort of their home. The fact that they are in a familiar environment allows their bodies and minds to heal quickly. In fact, medical experts have proven that home care speeds up healing- demonstrating that the elderly recover quickly at home as compared to nursing homes or hospitals. Most old people who are offered senior care have lower chances of being rehospitalized. Home care in Singapore is very affordable. Apart from providing high quality care, caregivers don't ask for much to offer their services compared to nursing homes. No matter how you see it, taking care of the elderly at home is much affordable compared to what it would cost to keep them in a nearby local elder care home. You will even save more cash if the company that you choose to do the work offers reasonable rates and comprehensive pricing models. Home caregivers understand that older persons don't have the same lifestyle or situation. They recognize how important specialized care is necessary for keeping the elderly healthy and caring for individual requirements and preferences. 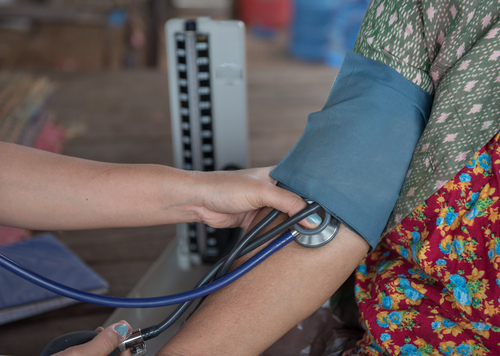 Home care should be personalized to be more efficient or to cut down expenses on administrative or travel costs incurred when seeking multiple health providers. The best home care in Singapore is provided by professionals who know what type of care should be given. When you look for a caretaker to care for your elderly parents or relatives, you are going a step further to ensure that they get the best care possible. You give them and other members of your family a piece of mind. It is possible for you to provide a broad range of services that your loved ones want. With other responsibilities like jobs, kids and a life to live, it is almost impossible to take care of elders. Elderly care services will let you take care of them no matter your schedule. 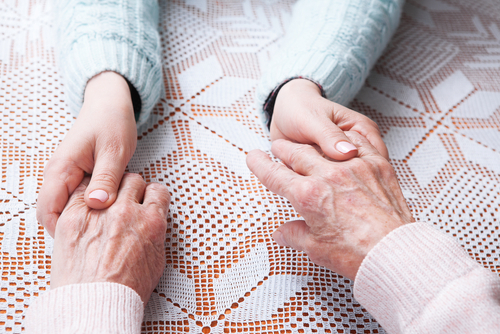 The family bond is important, especially when caring for the elderly who are ill. The support offered by the family benefits the elderly technically, mentally and emotionally. When other family members know that they are safe and in an environment of their choice, they won't feel guilty that they are not doing enough to care for them. In fact, they can have even more time to spend with them unlike in elderly care homes where they are restricted by the visiting hours. Home care allows family members to visit as often as possible without caring about getting into other people's ways. While hospitals are regarded as the safest places for old persons, it's surprising that up to a fifth of those living there has a higher risk of developing infections and other diseases. When seniors are cared for in the comfort of their home, their chances of getting infections or contracting other dangerous diseases are zero. 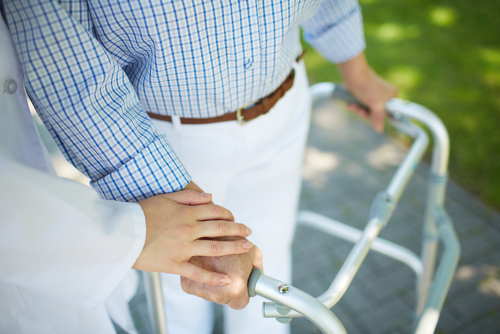 The personalized care offered by home care assures your loved one of fast, immediate care. Home care professionals also inform you about how to create an even safer environment for the elderly. For instance, they can recommend you easy fixes such as anti-slip rugs, grab bars and much more. As we age day by day, we lose many of our friends or even our kids. Old people lack company in most cases because apart from their families, the other people they know are their agemates. And most of their loved ones have busy schedules that don't allow them the luxury to spend time with their loved ones. 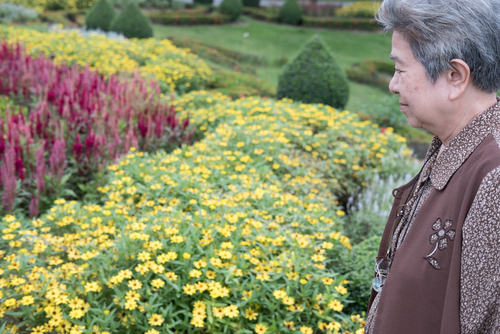 Home care in Singapore allows the elderly to make friends to make friends with other senior citizens living around. In today's technology-driven world, home care is so advanced than ever before. Technology has made it cheaper and faster to deliver home care services. Many gadgets such as smart pill boxes, automatic sensors and much more have assisted the care of the elderly by caregivers. As more and more adults continue to like their lives far apart from their elderly parents, remote caregiving has been the way to go. Thanks to technology, home caregivers can monitor, diagnose or treat conditions from the patient's home. Today, a high share of those with elderly parents in Singapore still have a false belief that they can not benefit from considering old home care services or that paying for elderly care services is way beyond their budgets. 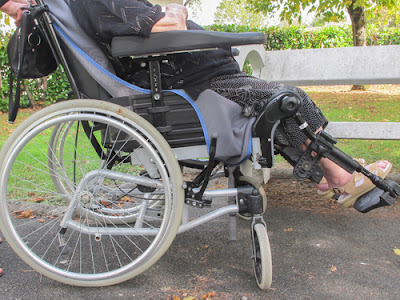 However, it's imperative that you abandon such misconceptions, if you too think so, and hire aged care services in Singapore to start reaping the benefits highlighted in this post.